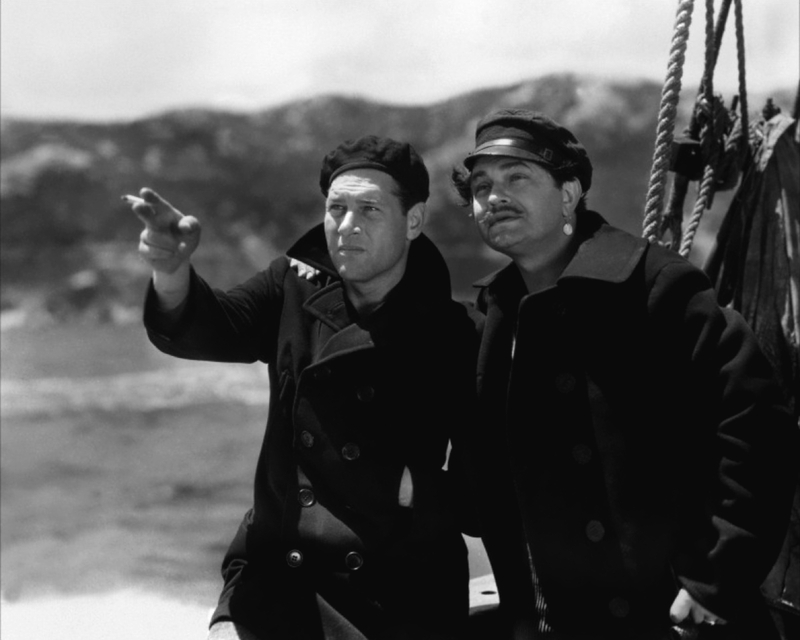 Richard Arlen and Edward G Robinson in a screencap from Tiger Shark (1932) filmed off the coast of San Diego. 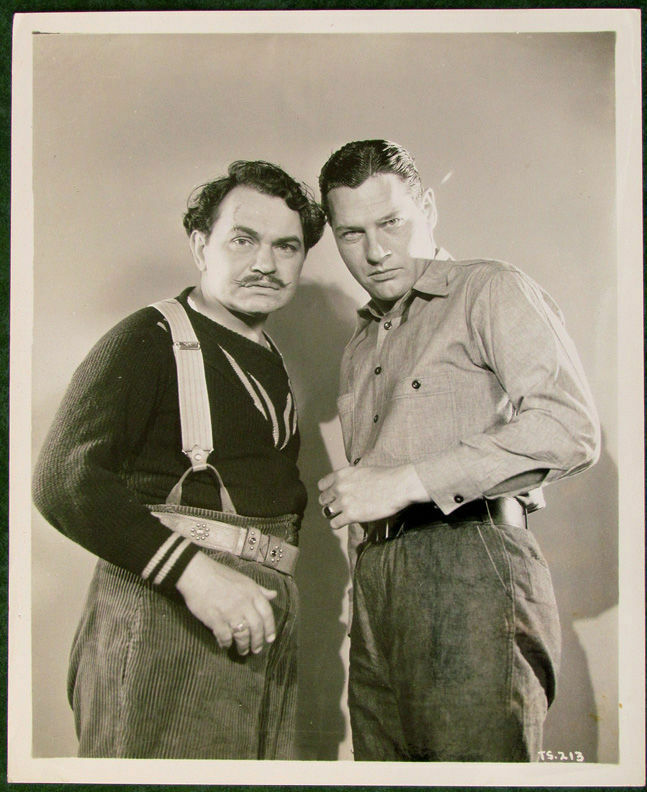 Edward G Robinson and Richard Arlen are tuna fishermen in Tiger Shark (1932). screencap from Tiger Shark (1932). As with all Howard Hawks movies, the action scenes are excellent. The drama in Tiger Shark isn’t bad either. Leila Bennett as Muggsey, Richard Arlen and Edward G Robinson in a publicity still for Tiger Shark (1932). Leila was born in Newark, New Jersey and had 22 acting credits, from an uncredited bit in 1931, through Fury in 1936, also starring Paul Muni. Leila was also in two 1930s horror films, Doctor X and Mark of the Vampire. 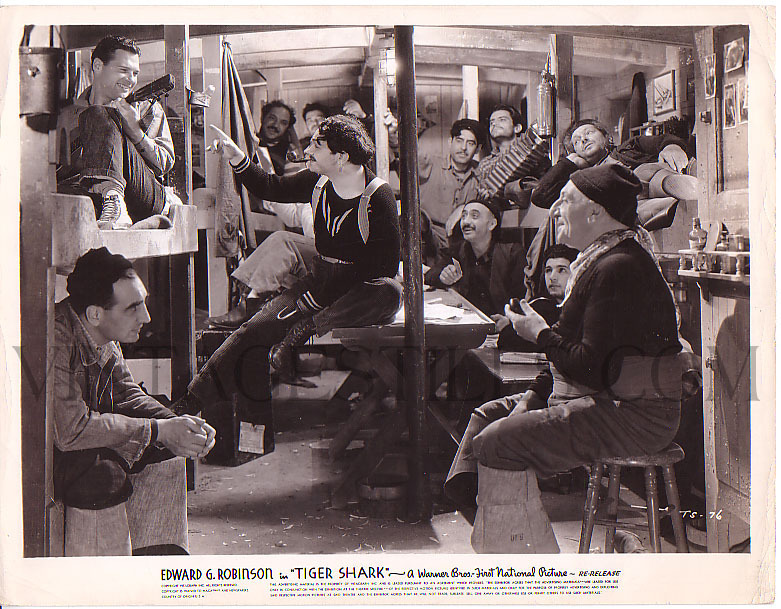 Another common theme with Howard Hawks’ work groups, seen here in Tiger Shark (1932) is the sing-along. It’s a device for his teams to share good times away from work. Similar scenes occur in Only Angels Have Wings and Hatari. Edward G Robinson and Richard Arlen in a publicity still for Tiger Shark (1932). It was one of Howard Hawks middling entertainments but the work scenes of the tuna fishermen are most realistic and exciting. Richard Arlen and Edward G Robinson are tuna fishermen in Tiger Shark (1932), the first of two films EG made with Howard Hawks. In both films he sports an earring. Here it’s a dangly one.